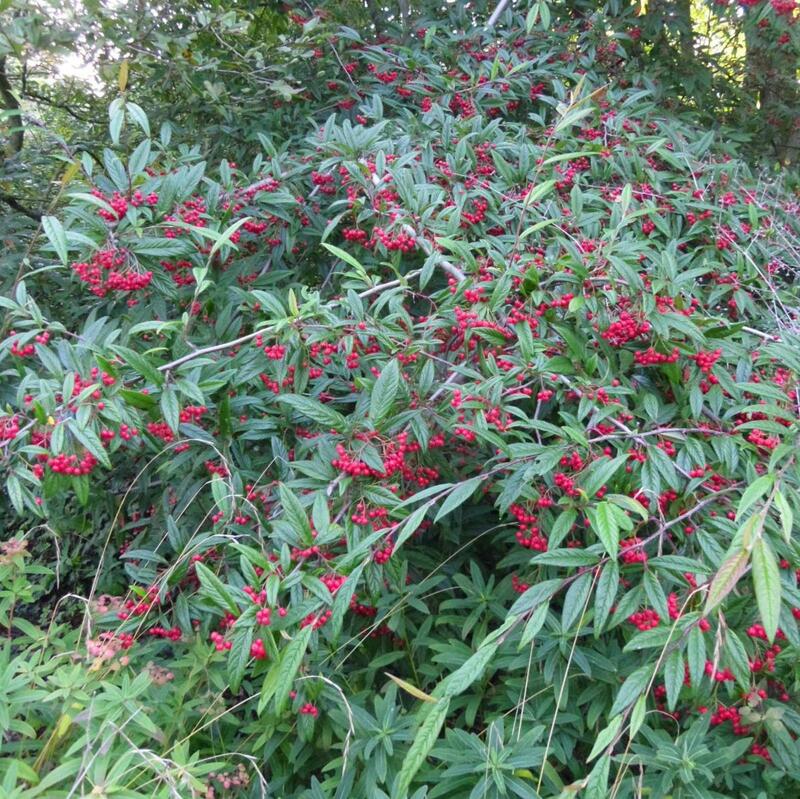 Cotoneaster salicifolius, the Willow-leaved Cotoneaster, is a very drought-tolerant, evergreen to semi-evergreen, medium-sized shrub with an arched branching habit. The leaves are alternate, simple, long, lanceolate, dark green and resemble those of willow trees, and have fine grey hairs on their undersides. 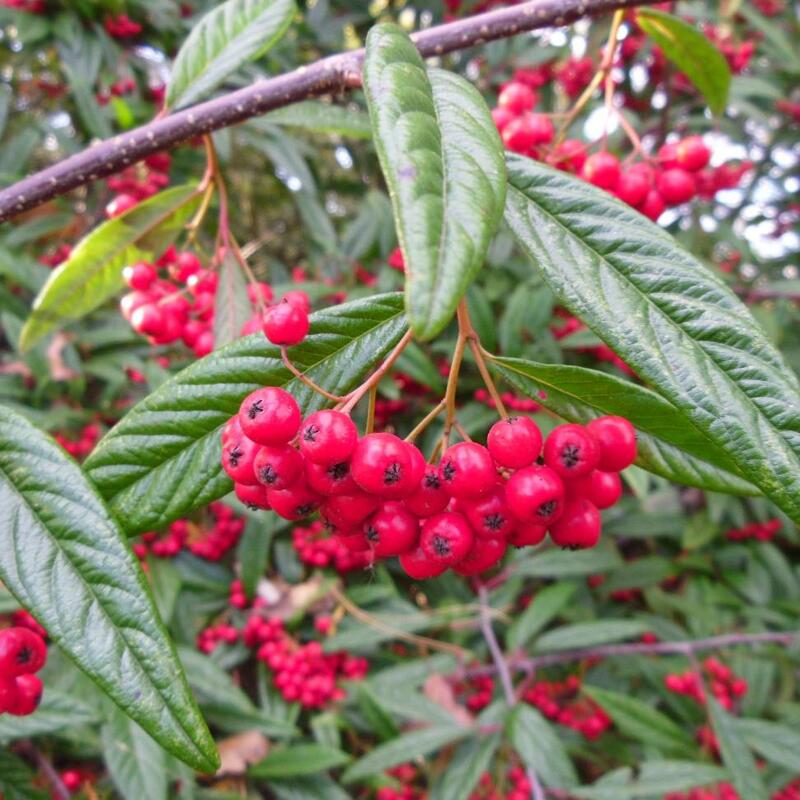 The scientific name 'salicifolius', described by the French botanist Franchet, means 'with leaves like willows' and during the colder months; they turn a delightful maroon in colour. In June the branches may be weighed down with the many flowered, showy compound corymbs of white, 5–6mm hawthorn scented flowers. The abundant fruit that follow grow as small, showy, apple-like, shiny deep red pomes, ripening in September to October, and enduring through much of the winter. 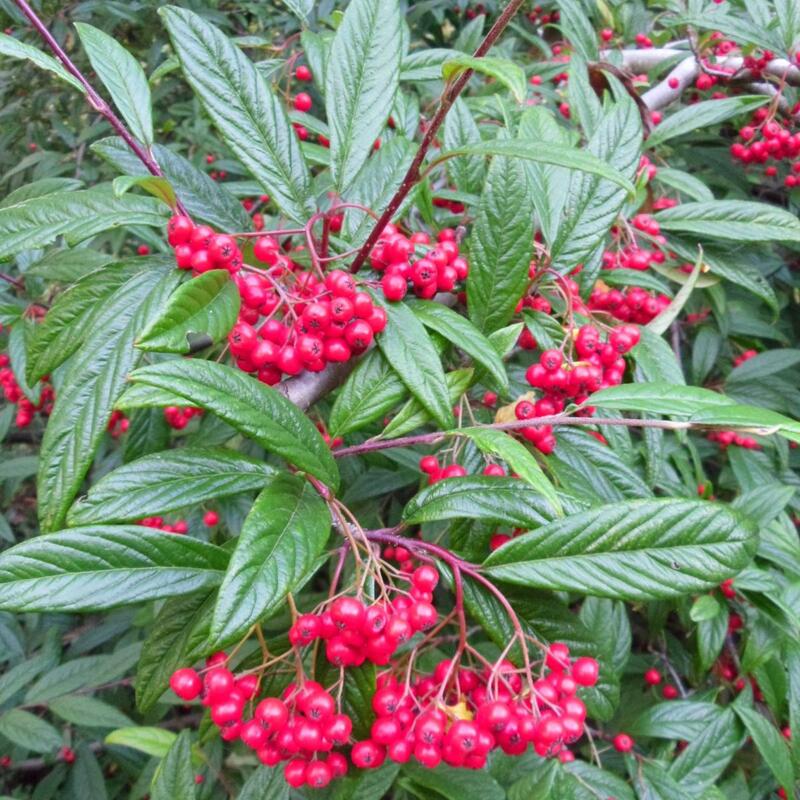 Cotoneaster salicifolius is a really under supplied superstar plant that has it all.Prune regularly the current season’s growth after flowering to keep in shape.